In 12th century Japan, the Minamoto and Taira clans vie for power while retired Emperor Go-Shirakawa plays his rivals against one another. One of the three factions will triumph to impose the coming social order. In the shadow of these elite powers, a few ninja scheme to exploit the chaos. Daring raids, skill mastery, and subtle intrigue are essential to establishing one's honor. When the new era dawns, one ninja will flourish as the Ninjato, the Invisible Sword of the ruling family. 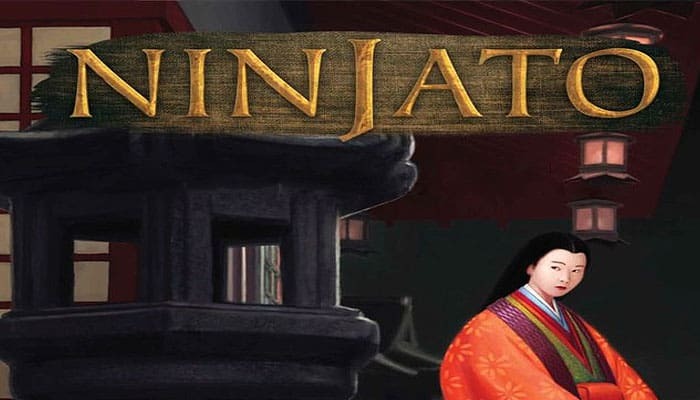 Ninjato is the newest board game from CrossCut Games, makers of Galactic Emperor, and published by Z-Man Games, IELLO, and White Goblin Games.